If you follow me on social media, you may have figured out that I am a giant Star Wars fan. I'm also a big Disney fan, so when Disney took on the franchise and decided to make more movies I could not have been happier. Enter to win Rogue One at the bottom of this post! Rogue One: A Star Wars Story is the latest and greatest to be added to the list. It was everything and more. The one moment I was looking forward to more than anything was getting to see Princess Leia at the very last moment. 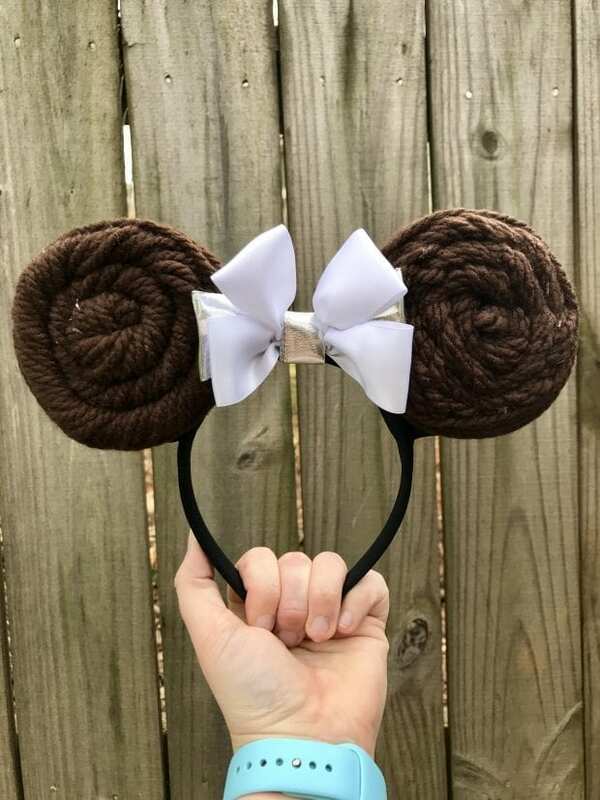 I was so devastated when Carrie Fisher passed away this past year, so I wanted to make some Minnie Mouse ears in her honor. I also found these super adorable Lightsaber Chopsticks because I didn't have enough geeky stuff in my life…NEVER ENOUGH! 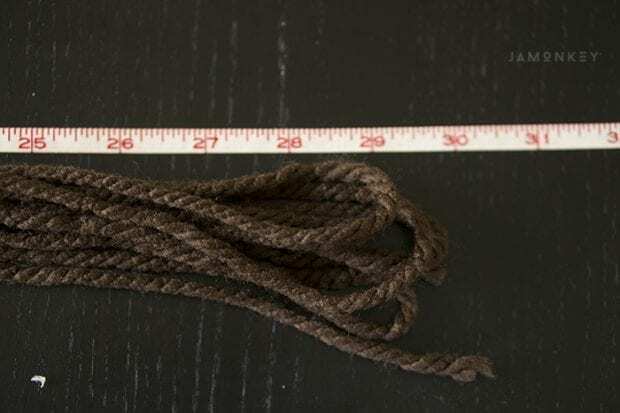 Measure 30 inches of brown yarn. Layer about 10 pieces of yarn. No need to cut each piece, just make sure they are 30 inches long. With the cut piece at the end, tie all of the pieces together. 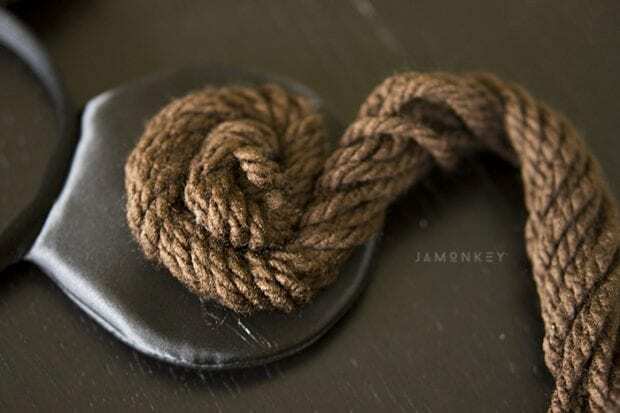 Twist the yarn together like you would hair for a bun. 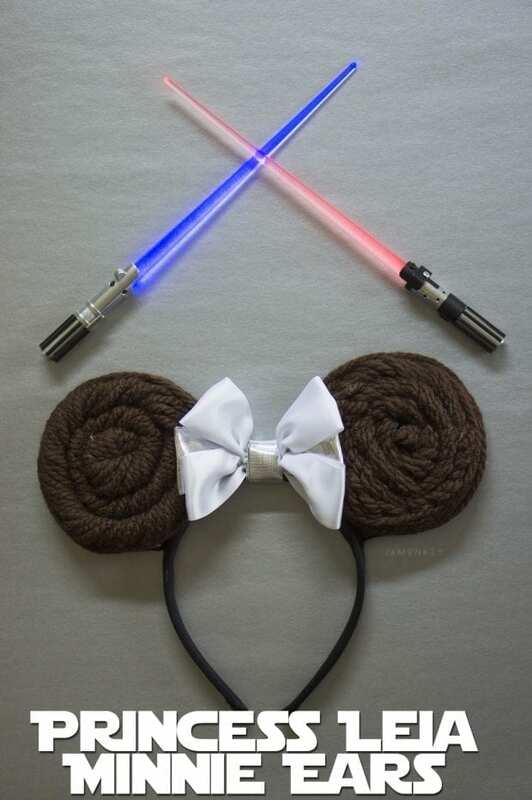 Hot glue the knot into the center of the Mickey ear and twist and glue the bun to the whole ear. To make the bow I followed this video to make a double bow. Then, I placed a metallic piece of ribbon in the back of the double bow. I then wrapped the silver ribbon around the center of the bow and attached it to the headband. Pre-order from Target and receive a $5 gift card, exclusive bonus content, and collectors covers! It is for the whole family, but me and the youngest haven’t seen it yet so we are most excited! I love that this movie can be for the whole family. Wow! What a CUUUUUUUTE craft. I had no idea Target had blanks, and now I’m DREAMING of every craft I could make! I know right!? The next set is the Minnie Royal Friendship Faire ones with the ribbons! I’m hope to win so we can make it a Star Wars family movie night! This movie will be great for my husband and me. This would be for my whole family to watch. Love these! They are so creative. Perfect for a day at Hollywood Studios.